Settling on their name in late 2017, the band didn’t take long to arrive at their first release as Parkville, The Peculiar Aftermath EP, from which singles “Shining” and “Brando” held #2 and #4 in the Triple J Unearthed charts for two consecutive weeks, as well as receiving Australia-wide radio play. Parkville has continued their success by being hand picked by Gaynor Crawford to support international heavyweights Saint Sister at their Melbourne show last year and performed to a packed Toff as a headline-act. Described by SYN Radio producer and Beat Magazine Reviewer Paul Waxman as “always great at producing heartfelt, acoustic journeys,” the honesty in the band’s songwriting is clear from a single listen. 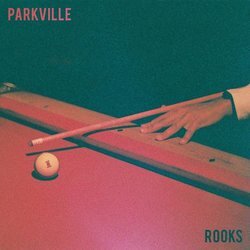 Catching the eye of tastemakers such as Triple J Executive Producer Tommy Faith, who feels “Ben Folds would enjoy this one on the headphones,” Look out for 2019 to be the year of Parkville!